What is sensory processing disorder, and how is it related to autism? For those interested in knowing more about auditory processing, Autism College will present a free live Q & A on the topic on Tuesday, July 19, 2011 from 6:00 to 8:00pm PST with visiting professor Terrie Silverman, MS, and with Chantal Sicile-Kira moderating. You may sign up here. Sensory processing – making sense of the world – is what most adults conveyed to me as the most frustrating area they struggled with as children, and this impacted every aspect of their lives – relationships, communication, self-awareness, safety and so on. Babies and toddlers learn about the new world around them by using their senses. At first they put everything in their mouths, they grab your finger with their little fists, then they start using their eyes to look at all those cute baby mobiles hanging over the crib. They learn to recognize the sound of their mother and father’s voices and other noises. They start putting meaning to what they are hearing and seeing. The lesser known senses that have to do with balance and body position (vestibular – where are heads and bodies are in relation to the earth’s surface; and propioceptive -where a certain body part is and how it is moving) are also necessary in order to making meaning of the world around. If these are not working properly and are not in synch, they acquire a distorted view of the world around them and also of themselves. Most parents and educators are familiar with how auditory and visual processing challenges can effect learning in the classroom. Yet, for many, sensory processing difficulties are a lot more complicated and far reaching than that. For example, Brian King, Ph.D, a licensed clinical social worker who has Asperger’s, explained that body and spatial awareness are difficult for him because the part of his brain that determines where his body is in space (propioception) does not communicate with his vision. This means that when he walks he has to look at the ground because otherwise he would lose his sense of balance. Donna Williams, Ph.D, bestselling author, artist, musician, had extreme sensory processing challenges as a child and still has some, but to a lesser degree. Donna talks about feeling a sensation in her stomach area, but not knowing if her bladder is full, or if it means her stomach hurts because she is hungry. Other adults mentioned that they share the same challenge especially when experiencing sensory overload in crowded noisy areas. They shared that they set their cell phones to ring every two hours, to prompt them to use the restroom, in order to avoid a potentially embarrassing situation. Many on the spectrum are mono-channel – meaning that they can only process one of their senses at a time. This means that if they are listening and processing the information through their auditory sense, they cannot ‘see’ or process what they are looking at, and vice versa. Being overly sensitive to noise is a common feature. A baby or toddler may not respond to voices and other sounds or cover his ears every time there is a sound. Parents or the doctor may think the child is deaf and request hearing assessment. Other challenges include the inability to filter what is being heard so that if a person is speaking to them, they are unable to focus just on the voice. They hear all the background noise (ie, the hum of the refrigerator) at the same level as the voice. Lights may be too bright to the point of being painful, especially fluorescent lights. This effects the visual processing of what they are looking at in that they may not see the whole picture, but pieces – kind of like some of the portraits painted by Picasso. A child may be looking intently at a book cover, but actually only ‘seeing’ the tiny little flower in the grass and not the whole scene of the farmhouse setting. The feel of anything on the skin may be irritating to the point that it feels like sandpaper to some. Clothing and tags and socks and shoes can be unbearable for some; others may be able only to tolerate loose clothing made of really soft cotton. For some, brushing up against another person in the street or school hallways can be excruciating. A heightened sense of smell can be a problem for some. Smelling something unpleasant and strong with no knowledge of what it is or where it is coming from can be very scary. Overactive taste buds or underactive taste buds can create challenges in getting a child to eat. Add to that the inability to tolerate certain foods because of the sensitivity to texture in their mouths, and you can imagine why many on the spectrum start out as picky eaters. Many children on the spectrum have challenges in coordination and motor planning tasks in one area or another, such as tying their shoes, or playing sports. When there are too many sensory challenges at once, the person can experience sensory overload, resulting in a behavioral meltdown. For some this may mean running away to escape for others, for others a tantrum, and still other extreme rocking and self- stimulatory behavior. Many see the detail, but have a hard time seeing the whole. First example, they may see the eyes, nose and mouth like a Picasso painting, but not see the whole face. Some may crave spinning and / or rocking, the vestibular system that has to do with balance. Some adults report that they do not have awareness of where they are in space and need to look constantly at the ground in front of them to keep their balance even when walking. Adults have described how many of the problems they face such as social relationships to be in large part due to sensory processing. Free live Q & A on Tues July 19, 2011: Auditory Processing with Terrie Silverman. Autism College will present a free live Q & A on Tuesday, July 19, 2011 from 6:00 to 8:00pm PST with visiting professor Terrie Silverman, MS, and with Chantal Sicile-Kira moderating. The topic will be auditory processing and autism, and Auditory Integration Therapy. Sign up below. Does your child have difficulty coping with specific sounds; struggle with understanding what he/she hears;or shut down or struggle when there is much background noise? Does he or she hum or talk to himself/herself; have trouble with articulation, sound flat without inflection; or have trouble understanding what you say? Your child may have auditory processing difficulties. Tune in to hear what Terrie has to say. You’ll have the opportunity to send in some questions. Sign up below. Terrie Silverman, M.S. received her master’s degree in speech/language pathology in 1973 from Rutger’s University and was trained in November 1992 as an Auditory Integration Training Practitioner. 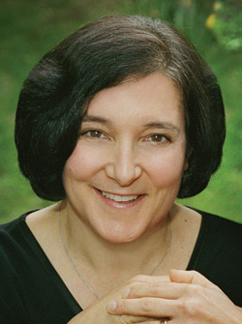 Ms. Silverman has been working with children, adolescents and adults with autism and developmental disabilities since 1974, in public schools, private schools, state and private residential facilities, group home settings, as a consultant, and with multidisciplinary teams in hospitals, clinics, schools and state programs. Ms. Silverman and her staff have provided Berard Auditory Integration Training throughout the United States to over 2800 individuals. Ms. Silverman was Director of a Richmond, Virginia nonprofit agency for 12 years, where she created several programs to support families who were raising an individual with a developmental disability. Ms. Silverman was on the Board of Directors and was a member of SAIT, the Society for Auditory Intervention Techniques, and when it developed into a worldwide organization called BAITIS, the Berard Auditory Integration Training International Society, in 2007, Ms. Silverman was elected to the Board of Directors. She is a long time member of the Autism Society of America (ASA) and Developmental Delay Resources (DDR), as well as many other disability organizations. Terrie Silverman is a Berard Certified AIT practitioner. For more information go here.